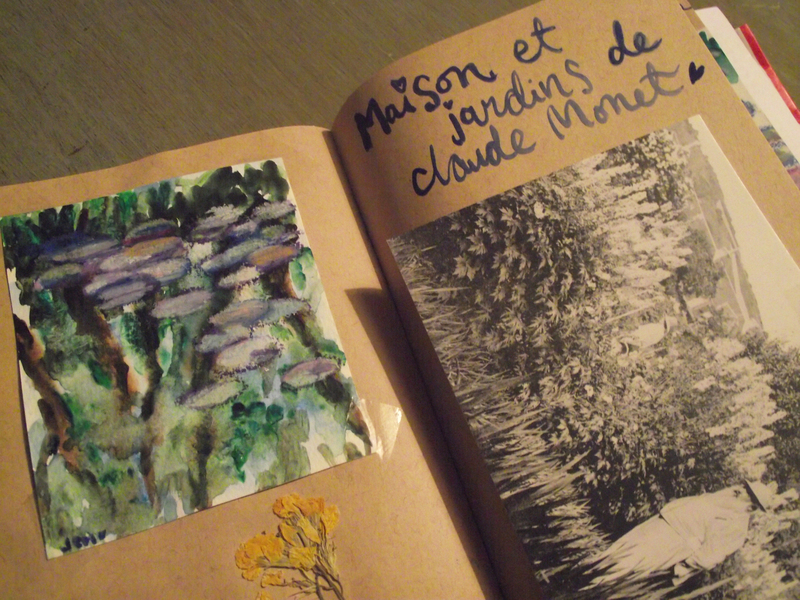 Right; My watery watercolour sketch plus a dried yellow flower from Monet’s garden (I rescued it from a cart full of pulled up weeds) Left; Postcard of Claude Monet in his garden, maybe his wife in the background? 1908. The garden looked the same!! The garden was beautiful! 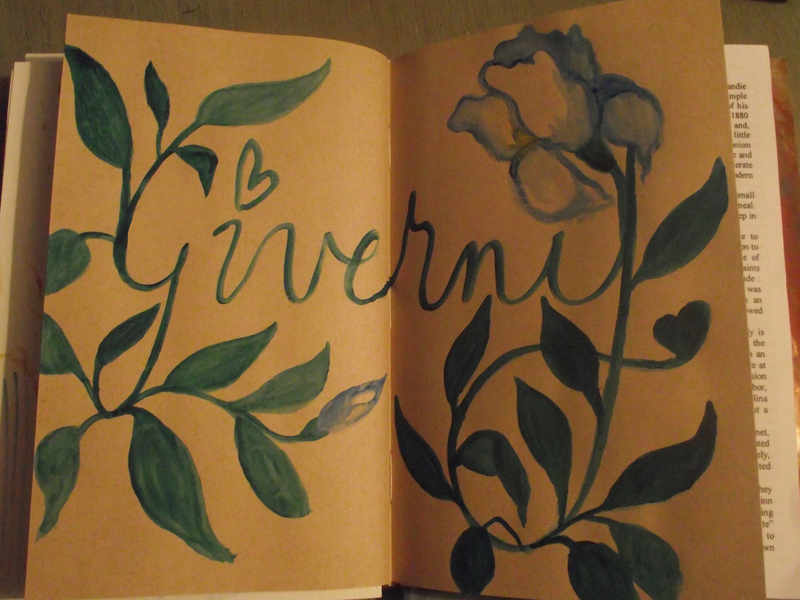 And looked just like his paintings!! 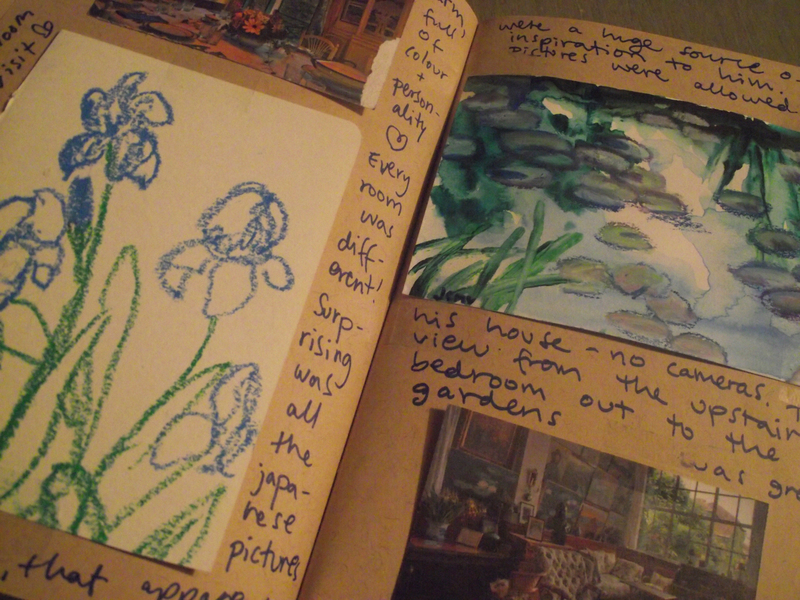 Took a million photographs there and did some sketches of them in oil pastel and watercolour. A really magical peaceful place. Also here, entrance tickets showing interior of Monet’s house. No photographs were allowed inside which is understandable, but he had a beautiful house with plants growing up along the walls outside and inside wonderful colours, like the kitchen was yellow and blue throughout! Beautiful tiles by the stove. 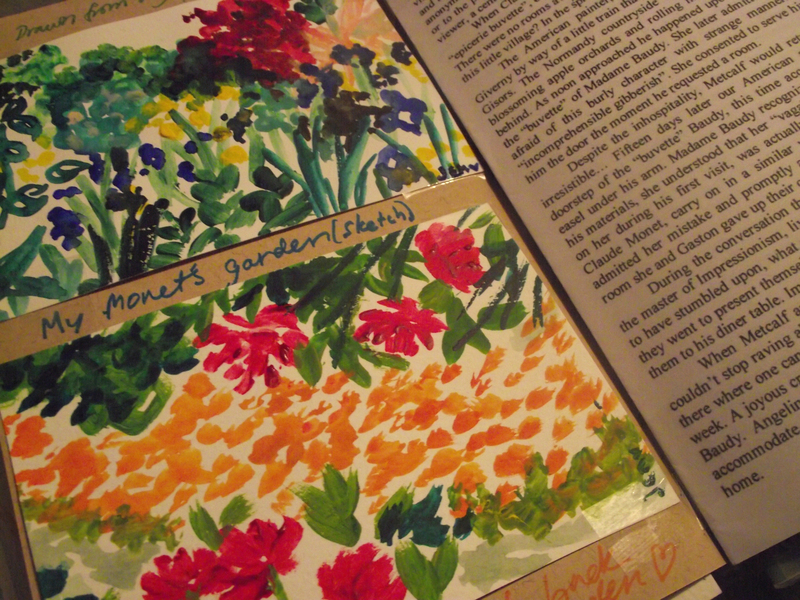 Top: my watercolours of Monet’s garden plus down: flowerbed in Hotel Baudy….full of peonies! !